When this country announced its independence from Britain, voting rights were based on property ownership. This typically meant that those voting were white males over the age of 21 of Protestant religion. In the newly drafted Constitution, states were given the power to set voting mandates and most were still favorable to white males who owned property. Many states had dropped religion and property ownership as requirements for voting and with such a large percentage of the population at the polls, political parties were beginning to develop. The 14th Amendment recognizes African Americans as citizens, giving them the right to vote. However, state officials continue attempts to deny this right. 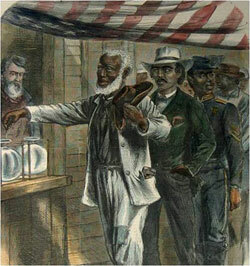 African Americans were given the right to vote in the 15th Amendment. It prohibited any state or local government from denying that right. Wyoming becomes the first state to recognize women's right to vote and provide for it in a state constitution. Voting power is expanded with 17th Amendment, calling for the popular election of US. senators. 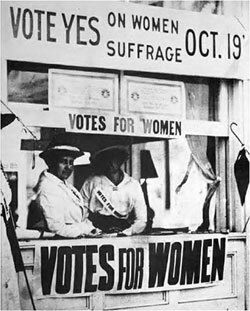 The 19th Amendment was added to the Constitution, giving women across the nation the right to vote. 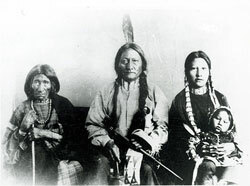 Congress recognizes Native Americans as citizens. 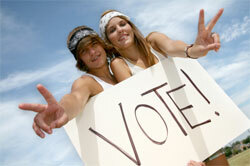 However, it wasn't until 1947 that all states granted them the right to vote. 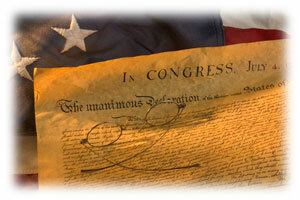 The 24th Amendment declares that no person should be denied the right to vote because they cannot pay a "poll tax." An amendment to the Voting Rights Act bans the use of literacy tests, poll taxes and other obstacles designed to keep people from voting. An exhibition from the Smithsonian National Museum of American History which explores how ballots and voting systems have evolved over the years as a response to political, social, and technological change, transforming the ways in which Americans vote.